If you are considering moving to San Jose, prepare yourself for a city that’s full of diversity, convenient living, and natural beauty! Below, we will take a closer look at South San Jose and surrounding areas south of the 280. As you travel further away from the center of San Jose you’ll experience gentle roaming hills, comfortable urban sprawl, and a healthy portion of open space for relaxing and exploring. Nature lovers tend to gravitate toward this Southern region because if of its proximity to large parks and hiking trails. The area is primarily made up of families, students, and retirees looking for affordable and friendly neighborhoods with room to breathe. If you aren’t packing your bags already, keep reading to learn more about this wonderful part of San Jose! With so many districts and neighborhoods to consider in San Jose, doing some research before arriving will go a long way! If you’re interested in living south of the 280, three districts to study up on are South San Jose, Evergreen, and Almaden Valley. Moving further from the downtown area doesn’t mean that you’ll be further from exciting and intriguing attractions. However, it does mean that home prices will be more budget friendly depending on the area and you’ll have more opportunities to enjoy the natural beauty of the area. If you’re ready for room to breathe and crack a cold one, South San Jose has your number. This relaxed neighborhood is largely made up of residential areas, strip malls, grocery stores, and restaurants. However, if you know what to look for, there are plenty of places to get your kicks. Fans of hiking, biking and bird watching have tons of parks and trails to explore in this neighborhood. A couple points of “natural” interest include Hellyer County Park and Santa Teresa County Park. For an afternoon of family fun, Kelley Park has a fantastic playground for the kids, a disc golf area for the adults, and the Happy Hollow Park and Zoo that is fun for all ages! Those who have a taste for the hoppier things in life will be delighted to know that South San Jose has plenty of breweries to choose from. Check out Hermitage Brewing, Camino Brewing, Campbell brewing, and Strike Brewing (just to name a few). Between South San Jose and the East Foothills, you’ll find a thriving and quickly developing neighborhood with surprising attractions and features called Evergreen. Here you’ll find an abundance of golf courses and private country clubs such as The Ranch Golf Club, Silver Creek Valley Country Club, and The Villages Golf and Country Club. Of course, hitting the greens is not the only way to enjoy wide open spaces here! The Joseph D. Grant County Park is a fantastic place to get your steps in for the day while taking in one of the best views of the San Jose city skyline. Kids of all ages will enjoy Brigadoon Park that is a local favorite known for its iconic cement slides and unique playground equipment. For those who are looking to do some retail therapy, head on over to the 1.4 million square foot Eastridge Mall. A unique spiritual and tourist destination in Evergreen is the Gurdwara Sahib of San Jose which stands as the largest Gurdwara in North America. If you’re interested in higher education, Evergreen Valley College and San Jose Community College are on the south side of Evergreen and offer two-year associate degree programs! This area hosts an affluent community that enjoys scenic views, quiet streets, and plenty of room to roam. 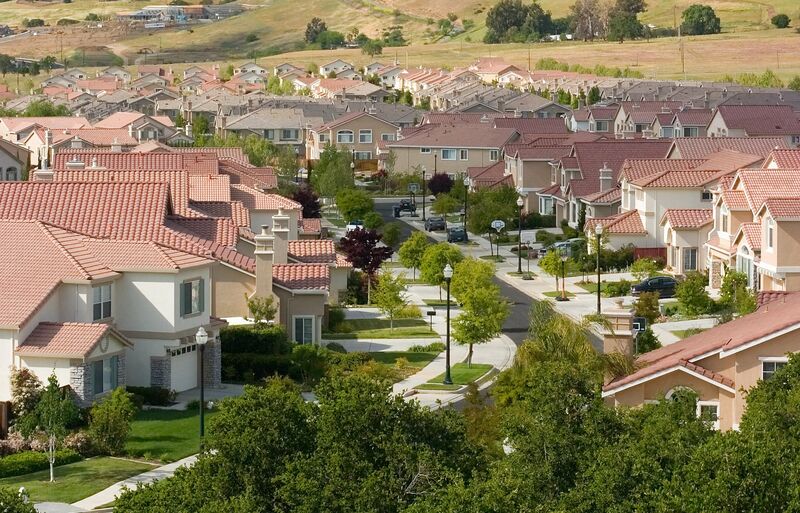 Rolling hills cradle this southernmost neighborhood of San Jose and provide residents with beautiful hiking and city views of San Jose from the top of Almaden Quicksilver County Park. If you’re not afraid of heights, take a walk up the five-story concrete radar tower known as “The Cube” located on Mount Umunhum for even more fantastic sights! The Almaden Golf and Country Club and Boulder Ridge Golf Club are both excellent choices in Almaden Valley for anyone looking for a private community or golfing experience. While you may have to venture further outside the neighborhood for retail shopping and major chain restaurants, that means that the streets are pleasantly peaceful and easy to navigate. The area does have a Safeway conveniently located near the center and plenty of delightful local restaurants to choose from such as Almaden Sushi, Country Inn Cafe, and Thai Love You. While certain aspects of the cost of living are slightly more affordable in certain parts of South San Jose, we’re going to take a look at the average cost of living across the entirety of San Jose. Expatistan.com says that a 900 square foot furnished apartment in an expensive neighborhood costs $2,845. An apartment of the same size in a “mid-range” part of town is $2,826. If you’re in the market to lay roots and buy a home in San Jose, the median home cost is $1,083,000 according to bestplaces.net. Based on their cost of living index, San Jose scored an average of 222. Their index uses 100 to represent the US average cost of living. An amount below 100 means a city is cheaper than the US average. A cost of living index above 100 means a city is more expensive. San Jose’s 222 cost of living index above means that it is much more expensive to live here than the average US city. South San Jose may be a prime example of urban sprawl, but it still offers many public transportation options offered by the Santa Clara Valley Transportation Authority (VTA)! The light rail from Alum Rock to Santa Teresa will take you to the furthest southern tip of San Jose where you can catch a bus or enjoy the sights of Santa Teresa Park. The light rail from Ohlone/Chynoweth to Almaden is helpful getting within walking distance of the Almaden Valley neighborhood. If you don’t feel like walking, there is an extensive network of bus routes in the area that make going anywhere a breeze. Check out this map of the light rail and bus routes to see just how accessible the whole city is! Since public transportation is not everyone’s cup-of-tea, it should be mentioned that many residents rely on cars and bicycles to get around too! Are the plethora of breweries, endless outdoor opportunities, and tranquil streets of south San Jose calling your name? Then maybe it is time to move! Once you’ve made up your mind, you might find that the actual process of moving is easier said than done. That’s where A-1 Self Storage comes in! We are not only prepared to help store any belongings that may not have a home once you arrive at your new destination, but also equip you with the tools and supplies you need for a successful move! Our self storage managers are happy to talk with you about all that their facility has to offer and help you decide if self storage is right for you. All of our facilities have a convenient retail shop with moving supplies for purchase, so we can truly be your one stop shop for moving and storing! For premium self storage give us a call today!